As an artist, I am always looking for ways to push myself and the materials with which I work. Although not new, polymer clay offers me a wide-range of new possibilities when making my handmade pens. 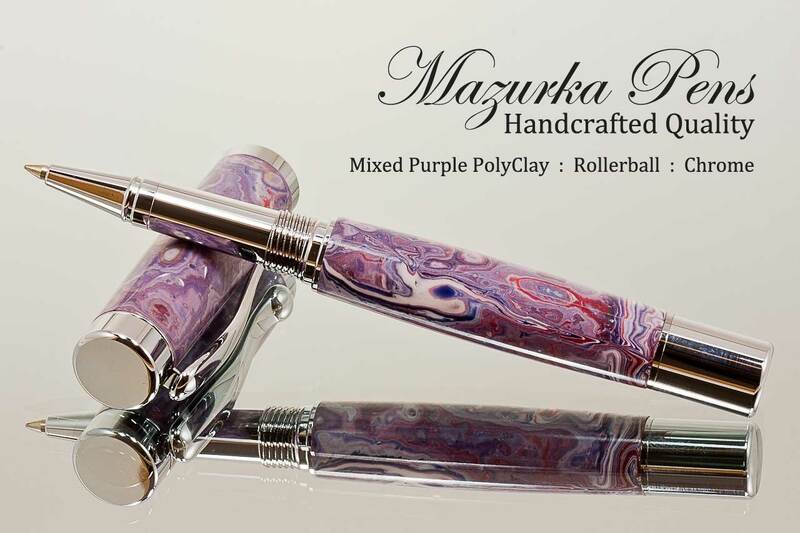 It is a great material to work with and has many uses, but I use it in making custom handmade pens that are one-of-a-kind. 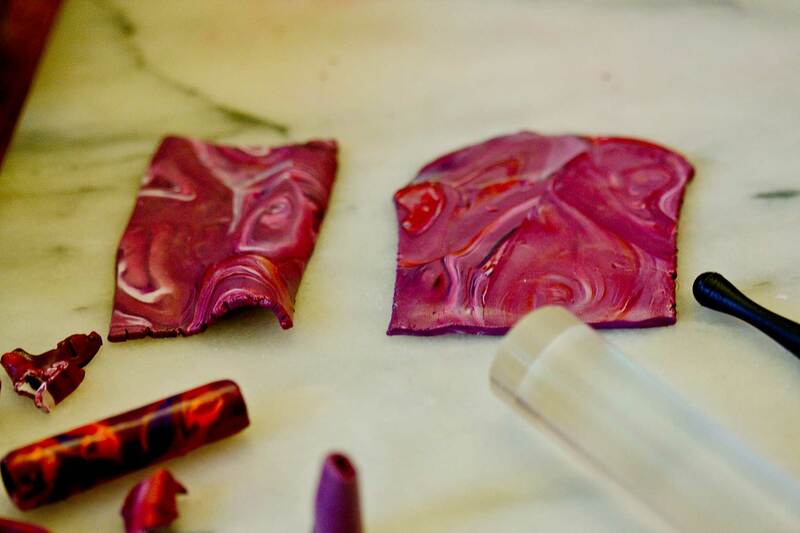 Polymer clay is a plastic-like material that is workable yet becomes a solid once it is baked. As a plastic polymer it is composed of polyvinyl chloride (PVC) material that often can contain small amounts of clay. Although it may contain trace amounts of clay (and other materials), it is really only called clay because of its similarity to working with traditional modeling clay. It can be shaped and worked to obtain any number of form. It is often used in custom jewelry and other crafts. This is because it has many uses and can be made into so many shapes. After the artist shapes the material, it is typically baked in an oven with a temperature of 225 degrees Fahrenheit up to as much as 325 degrees Fahrenheit. Once baked, the material is permanently solid. It can then be further shaped, glazed or adorned with other materials - or even more polymer clay! There are entire books devoted to the topic of working with polymer clay, so I will try to discuss what I find important. Polymer clay is bought in bricks which then have to be worked to soften the material. I typically do this by hand and also use a pasta machine to work the material so that it is softer. Once it has been conditioned by working the material, I can then use it to create a design for the pen. Although there are many techniques, I typically use two. I make canes (which is basically an extrusion of clay) that are then packed together to form a design. This design is then cut, shaped into a cylinder and then used as the basis for a pen blanks. Or, I make layers of colors that are then carefully blended into sheets which are then cut and shaped. One of the reasons I like working with polymer clay is that it offers many alternatives in design possibilities. I love working with wood, but I do not get to create the pattern. Acrylics and resins allows control over the design, but you have to work with messy chemicals. Polymer clay helps bridge that gap, allowing me the freedom to work with design without the mess. It still is just as much work, but the clean-up is a lot easier.